I cannot recommend this book enough! One of the most challenging, powerful, gut-wrenching reads you'll ever read and yet, you'll fall in love with every single person you meet along the way. You won't be able to put this book down. You'll absolutely be excited to hear what Katie has been up too after her first book came out and you'll turn the pages fast. This is a great read and I feel privileged to have read this book early. 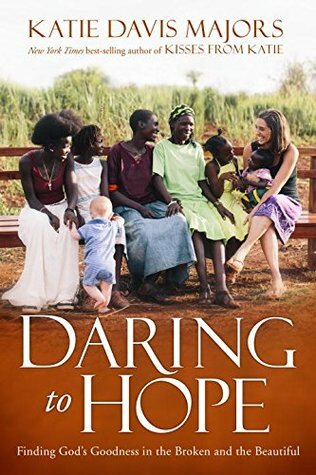 I can't wait till the rest of the world gets to read this remarkable book by this amazing woman who loves Uganda and the story God has for her life. Grab a comfy chair, a good drink and get ready to meet Katie's amazing family. You don't want to miss this book! I give this book 5/5 stars and I highly recommend it. A favorable review was not required. Pre-order her newest book here!